If you own a bike or two, the value is over £1000 and you train with others, then the answer is likely to be yes. Add in racing, travelling with your bike and a few gadgets and the answer starts to get a little clearer. When I was asked last year to be an Ambassador for bikmoplus.com, a new cycling insurance company I was interested but I wanted to know it was going to benefit my particular sport and something I could honestly put my name to. As a triathlete and cyclist I certainly have more interesting areas to keep myself occupied, lets face it, bike insurance is boring, the question is, do I need it ? I know my sport can be an expensive one and I would be gutted if my race bike or training bike were to fall into the hands of thieves. I also had the quandary of putting my name to a brand and not being able to ‘test’ the product. I was asked to meet the founder and CEO David George to discuss their brand and what they wanted to achieve. 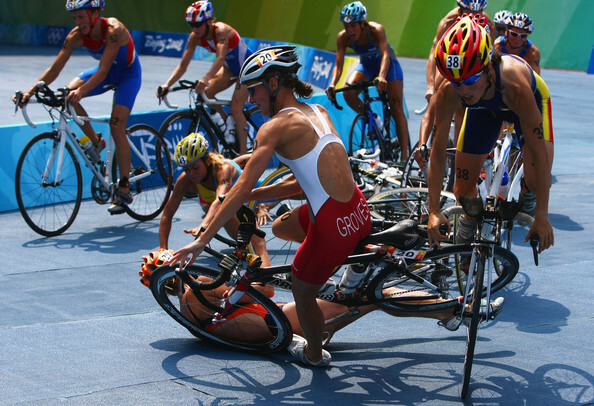 It turns out they wanted me to help, I was a triathlete with ideas, what does my sport want ? That’s a novel approach, ask the users what they want and then adapt. Obviously with cycle insurance, its all about the bikes, how then do you add value that others aren’t. So, back to my options and would I consider specific bike insurance, I have had my bikes insured separately from my house insurance for most of the last 10 years with various companies. If I am honest, it invariably comes down to money but when you’ve been around the world of bikes for many years there tends to be a wider picture that has to take priority. Cycling and multisport, specifically triathlon, is still in a boom phase, since the Olympics nearly 3 years ago the growth in cycling has meant nearly 200,000 more people have taken to the road in one form or another on 2 wheels. 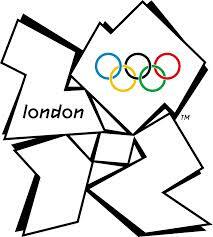 There is also the aspect of fitness, green issues and the very popular cycle to work schemes. Unfortunately this also brings the darker side of society, thefts of cycles in 2014 were around the half a million mark, that’s a lot of hard earned money, gone. So, what about bike insurance ? I have been witness to one particular attempt to steal a bike leant against 3 others outside a café when we have been out on a ride, we stopped for coffee, we were only on the other side of the window, the brass neck on these guys is a crazy thing to behold ! I have also heard of cycles being snatched and gangs using mopeds to assist their escape, its gone in a flash ! This is just while out riding. It doesn’t have to happen when you are away from the house, protecting your kit in the home/garage/shed should be the main consideration when looking at bike insurance. Bikmo Plus have put together a useful guide to home security which includes all of those locations. So how do you ensure you get the best for your pride and joy ? Most people have a home insurance policy, this is to cover your bike up to a certain amount, maybe £500 or £1000 but will come with an excess and unless you pay extra for cover away from the house it won’t be covered. 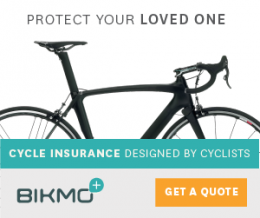 Bikmo Plus discuss this themselves on their website, and freely put weight to both options on the old ‘home insurance vs cycle insurance debate‘, as well as a run down on their competition cover which is worth a look. As a competitive triathlete I have to consider the cover while at an event or getting to an event. I need cover while racing, transitions aren’t always well marshalled, travelling has its own pitfalls, if I get to a race and my bike fails to show up, I need cover in case of loss, I still need to get to the start line after all ! There are some bike specific policies that don’t go this far, always check the small print. When it comes down to it, the cost of replacement is what hits the hardest, spending hard earned cash twice for the same product is not a nice feeling. 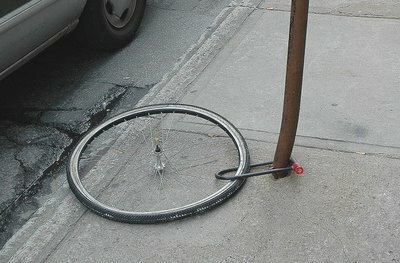 So why do people have a hard time rationalising the outlay of protecting their bikes ? Car insurance is compulsory so its not a good comparison, however, the cost of a full racing TT bike to replace might compare to the value of some cars, that’s a lot to replace. So what has the above highlighted and what can providers like bikmoplus.com offer ? Market leading multi bike cover, most triathletes have more than one bike, but you can only ride one at once. Bikmo Plus appreciate this and charge less for additional bikes. Cover me while I am competing, before during and after. Cover all of my accessories up to £250 or 10% policy value. Cover all of my gadgets up to £250 or 10% policy value. No excess on claims over £1000 – hard to believe but if you use bikmoplus.com to replace your insured items, no excess. Interest free monthly payments – so frustrating getting a quote and finding out they add 15% to pay monthly. If you do consider specialist cover, are there any conditions you need to know about ? Certainly, this will be no different than your car insurance having conditions, lock when not using away from the home, get into the habit of locking it when its in the garage or shed. Most companies when insuring you for high end bikes will insist on Gold Standard locks and proof that you have taken every reasonable step to prevent the theft. There are many places to purchase gold approved locks from, check out bikmo.com (a handy cycling search engine) as well as their guide to sold secure ratings. Lastly, for most of the leisure cycling population this won’t be a concern but for group riding and the more competitive, personal liability and personal accident while out riding wont be covered by a home insurance policy as standard, having a specific bike policy adds peace of mind that if something went wrong you have the correct cover. To add the icing there were a couple of extra things that caught my eye, not something that would seal a deal but the little things that make a difference. Up to £500 in the event you get to a race and your bike doesn’t, you can hire a bike to race. Up to £150 to get me home if I breakdown, TAXI !!! Accidental damage to clothing if you come off. Still looking for cover ? Give bikmoplus.com and click and check out the benefits. Could be the best triathlete product you buy this year.